FAMOWOOD Original Wood Filler has been the choice of professional woodworkers for over 70 years! It doesn’t matter whether you are masking small or large defects, FAMOWOOD can handle the job. It spreads smoothly into cracks. Perfect for any type of custom wood project. 1.Test small area before use. 2. Surface must be clean and dry. 3. Allow contents to dry thoroughly before sanding (15 minutes). 4. Accepts most water-based and oil-based stains. 5. TEST STAIN COMPATIBILITY BEFORE USE. 6. For deep repairs, allow 1st layer to dry before applying subsequent layers. Replace lid tightly. 7. 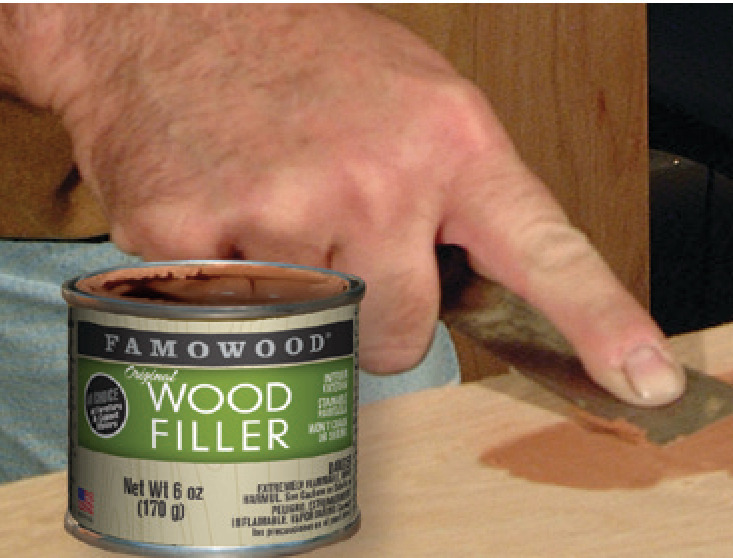 Use FAMOWOOD Wood Filler Thinner to restore. 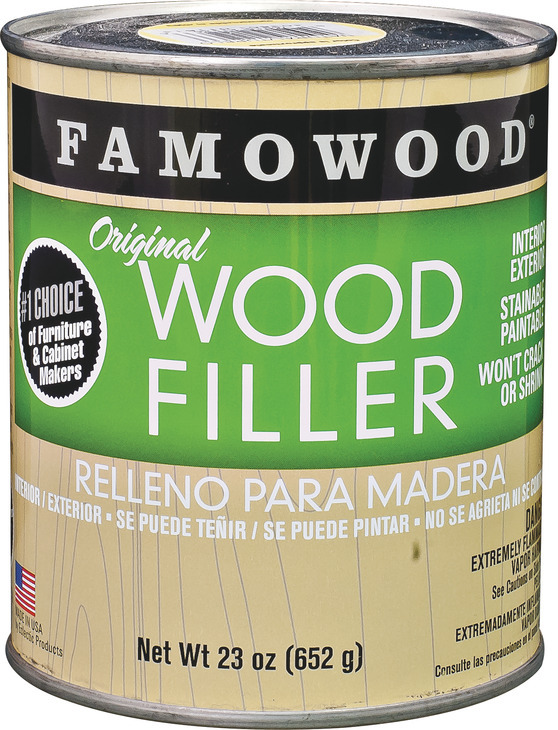 Is FAMOWOOD Wood Filler easy to use? Yes. FAMOWOOD Wood Filler requires no mixing; spreads smoothly and evenly into small or large holes, cracks & defects in unfinished wood. How long does it take for FAMOWOOD Wood Filler to dry? FAMOWOOD Wood Filler dries in 15 minutes. Once dry, it acts just like real wood and is ready to sand, saw, stain, nail, paint or plane. What makes FAMOWOOD Wood Filler unique? FAMOWOOD Wood Filler has a high solid content of wood flour and takes stains and paints like real wood because it is made of real wood. Will FAMOWOOD Wood Filler shrink or crack? No. FAMOWOOD Wood Filler shows no signs of shrinkage, cracking or crumbling and can be used indoors or outside, making it ideal for any custom projects. 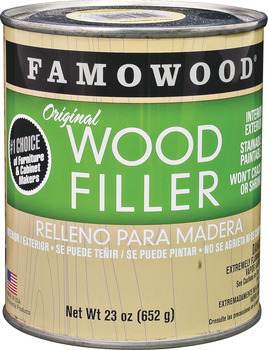 Will FAMOWOOD Wood Filler match the existing color? Yes. FAMOWOOD Wood Filler is available in 18 colors to match any unfinished wood species.